You rely on gym daycare to work out. Make sure it works for your child too. Is My Child Eligible for Gym Daycare? Find out whether there is an age minimum (or maximum). Some gym child care rooms require kids to be toilet-trained before they can be dropped off. If your plan is to run or walk near the gym (but not inside it) find out if leaving the facility while your child is in care is allowed. Often, it isn't, so you'll need to be prepared to stick with the equipment and group fitness classes inside the gym. What Are the Daycare Hours of Operation? When is the child care room open, and is there a limit to the number of kids allowed in at a time, or the amount of time a child can stay? Do you have to book in advance? If it's a first-come, first-served drop-off, be sure to stop by the gym to observe at the time you'll normally be working out. If there's a lineup of frustrated parents outside the door, unable to use the childcare, think seriously about whether you can change your schedule—or find a new gym. After all, this can make or break your workout. How Much Does the Gym Daycare Cost? Are child care services included in your gym membership fees, or do they cost extra? It's common for gyms to charge a few dollars an hour for this service, so don't be turned off totally. After all, you'd pay much more to a private sitter at your home. Just factor this cost into your overall family budget. How Are Employees Trained and Screened? At a minimum, gym child care staff should undergo a criminal background check and be trained in CPR and first aid. Beyond that, it's nice if they (or at least their supervisors) have some training in child development. Visit the child care room to observe the caregivers in action. Do they play with the kids? Are there age-appropriate toys and activities available? Are young children watching too much TV? What Is the Ratio of Kids to Caregivers? The smaller the number, the better; kids get more individual attention, and are safer in case of emergency. The National Association for the Education of Young Children recommends no more than 3 or 4 infants and toddlers (under 2 years old) per adult; for 2-year-olds, 3 to 6 per adult; and for 3- to 5-year-olds, 6 to 10 kids per adult. Ask how the gym child care maintains ratios. Do they have on-call staff in case of a large group of kids, or do they turn children away if there aren't enough teachers present? It's important to ask because gym child care services are not usually subject to state child care licensing rules (which, among other things, regulate staff-child ratios). Visit and perform a five-senses test. Is the space visually appealing and clean, with toys and furniture in good repair? Does it smell clean (OK, maybe not right by the diaper pail)? 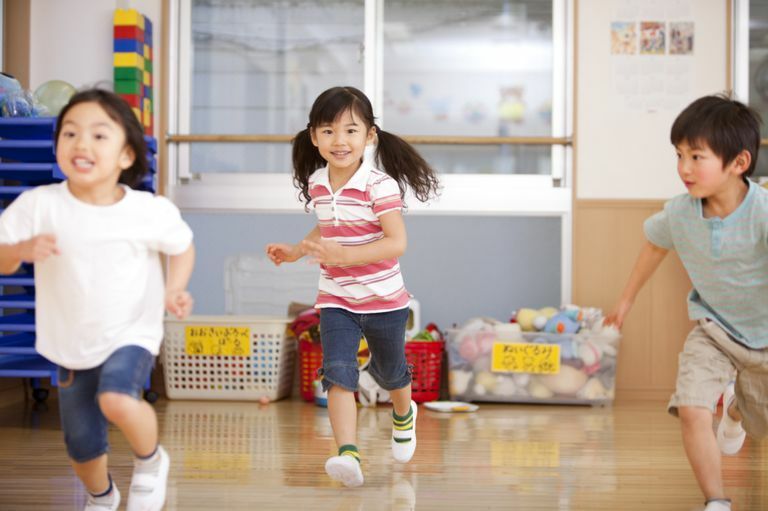 Do you hear a buzz of happy activity, or kids crying and caregivers scolding? Are surfaces warm, safe, and inviting? If snacks are served, are they healthy and age-appropriate? Ask about guidelines for snacks and diapering. Some gym daycares won't change kids' diapers at all. Your child will need to wait until you return to be changed, or you will be paged and asked to come to the gym to do the job. Or they may ask that kids wear disposable diapers only. If, even after you've answered these questions satisfactorily, you don't feel comfortable with the child care service, move on. Ask for recommendations from other parents, or find an alternative (such as trading child care with a friend or hiring a babysitter). Nerves and separation anxiety are normal, but if your gut tells you something isn't right, pay attention.